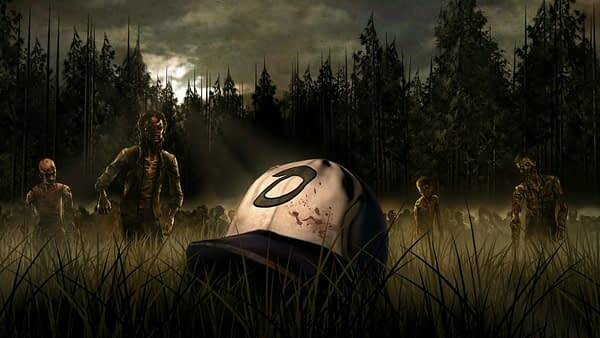 Telltale Games may be no more, but it’s not necessarily the end for The Walking Dead. More specifically, it’s not the end yet, as the company has given Skybound the right to complete the 4th season of the game and thus provide the series with a proper ending. Comics mogul and Kentucky land baron Robert Kirkman revealed the news at the Walking Dead panel at New York Comic Con Saturday, having finalized a deal just hours before the announcement. Bleeding Cool’s Ray Flook attended the panel and sent us the breaking news, interrupting our viewing of WWE Super Showdown to post it. Thanks a lot, Ray! Now our screen is paused and our entire family is being forced to stare directly at John Cena’s bald spot while we finish this article! Telltale was in the midst of promoting the fourth and final season of the game when they suddenly shut down and laid off all their staff, prompting complaints and a class action lawsuit, and pulling the game, which would have been their final release, from the schedule. Now, Kirkman’s Skybound can finish the job, Kirkman can become even richer, and fans can get closure on the fictional video game story, providing everyone involved a happy ending. Well, except all the employees who were laid off. Yay capitalism?